The theme for Rare Disease Day 2015 is, “Living with a rare disease: Day-by-day, hand-in-hand”. In honor of this, we asked the community to give one word to describe what living with FPIES means. We received numerous impactful responses, demonstrating our strong solidarity as a community. Download and share Rare Disease Day communication materials! Share your awareness of Rare Disease Day with your online community, utilizing logo’s, banners, badges, and social media profile pictures. Global Genes – Global Genes has “I love someone RARE” profile pictures again this year; you can upload your child’s photo for this unique profile picture, or simply use one of their other profile pictures and banners for your social media profile. Also be sure to share your pictures with us and Global Genes on social media! Rare Disease Day – Rare Disease Day has the official logo and countdown ticker to add to your blog or website as well as posters and banners to show your support of this day. 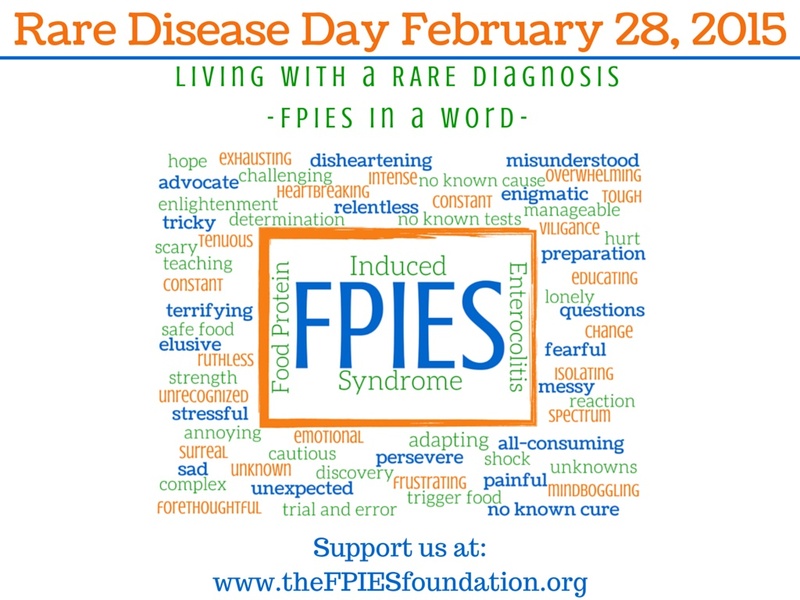 The FPIES Foundation – visit our website and Facebook Rare Disease Day Event page to click and share banners, logos, and profile pictures created just for Rare Disease Day awareness of FPIES. Share FPIES awareness materials in your online community – visit our website and Facebook album to share these flyers online. Share your family story of what living with FPIES means to you. Sharing your story shares awareness, and awareness is key! Read and share Inspiring Family Stories. Write to us at contact@thefpiesfoundation.org on how to get your story published on our Inspiring Families pages. Provide an update to a story we have already published! Distribute Awareness Materials in your local community – at the doctor’s office, at daycare or school, at your playgroup. Download, print and share these flyers in your community. Start the Conversation! An awareness conversation does not have to be formal or lengthy. 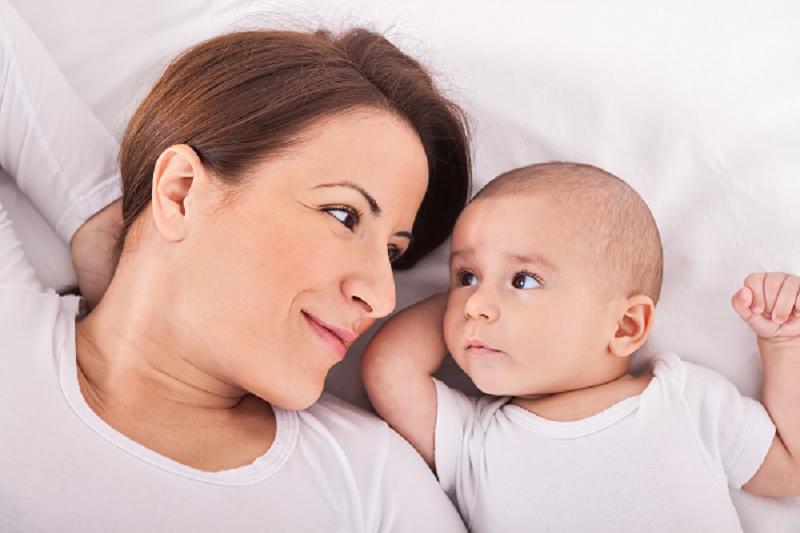 Some great settings include but are not limited to moms’ groups, breastfeeding support groups, new parent education groups, staff meetings (at schools,nutrition clinics, etc). Pick a setting that is meaningful to you and then make a call! Participate in or host an awareness event in your community! Support group meeting– get together and share what it is like to share a rare diagnosis. “You are not alone”. Fundraiser event – host a walk, host an FPIES awareness event, initiate a wear jeans at work day fundraiser, or participate in ongoing online fundraisers. Participate in Give Rare Day March 3rd, a Global Genes Initiative that benefits non-profits. Café Press Foundation gear – “Rare But Real” t-shirts, with thanks for the original design by Crystal Martin, these t-shirts are now available through the Foundation Café Press store. Be Brave Bravelets – Wear your FPIES Brave when you purchase a piece of Bravelet jewelry from the Foundation’s page. With everyBravelets purchase from our page, $10 will be donated to The FPIES Foundation, to advance our cause for education, advocacy, outreach and research. Global Genes Ribbon – The Blue Denim Genes Ribbon logo, from Global Genes, has become an internationally recognized awareness symbol for rare and genetic diseases. Check out Global Genes & Rare Disease Day websites for additional resources!